We meet a magical holiday in the center of the old Grodno with delicious dishes and in good company. 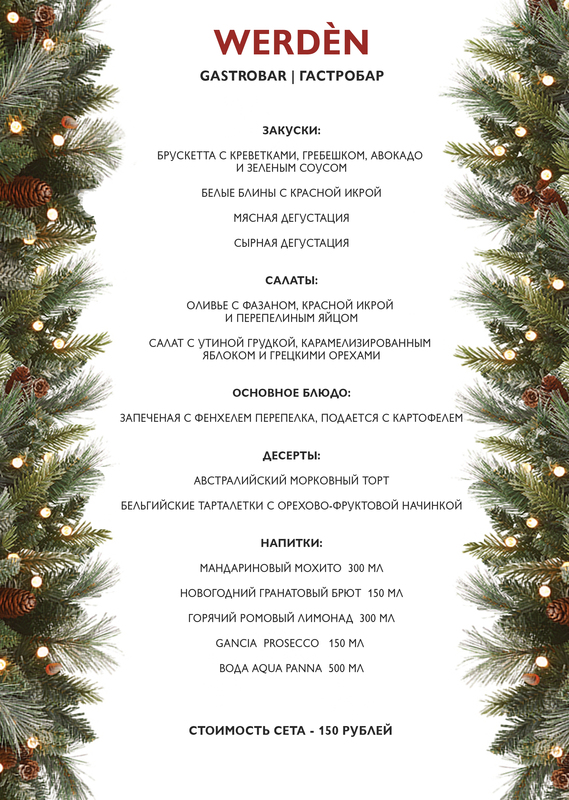 Open booking for New Year sets of dishes and drinks that will accompany the festive evening. One set is designed for one person. Booking a set, you book a table for New Year's Eve.